Vine City is the 26th most walkable neighborhood in Atlanta with 2,817 residents. Vine City has good public transportation and is somewhat bikeable. Nearby neighborhoods: Atlanta University Center, Washington Park, English Avenue, The Villages at Castleberry Hill, Castleberry Hill, Ashview Heights and Marietta Street Artery. Most errands can be accomplished on foot in Vine City Atlanta. Vine City is the 26th most walkable neighborhood in Atlanta with a Walk Score of 70. Find apartments in Atlanta's most walkable neighborhoods: Georgia State University, Peachtree Center and Buckhead Village. 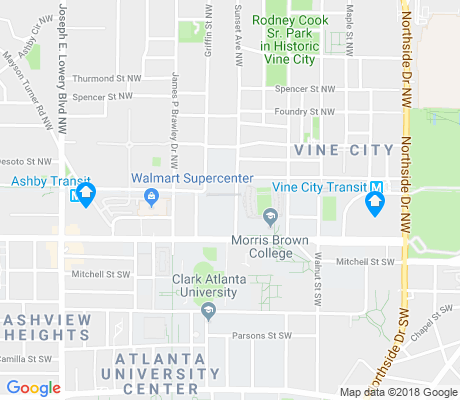 Compare Vine City to other Atlanta neighborhoods. Moving to Atlanta from another city? There are about 30 restaurants, bars and coffee shops in Vine City. People in Vine City can walk to an average of 2 restaurants, bars and coffee shops in 5 minutes.